You could see the web page error HTTP Error 500.19 - Internal Server Error in different scenarios when accessing a web page which hosted in IIS Server. This is generic http error, you can find the exact reason from error code under Detailed Error Information section of the error page. This article gives fix/solution for error code 0x80070005 in HTTP Error 500.19 - Internal Server Error. The error code 0x80070005 indicates insufficient permissions to read web configuration file. You will get the below detailed information. From the Detailed Error Information section, it clearly indicates the error 0x80070005 occurs due insufficient permissions to read web configuration file. So to fix this issue, we need to give required permissions to web configuration file for the Identity (user account or service) of the Application Pool that is used in Web Application. Follow the below steps to give proper permissions for Application Pool Identity. 4. 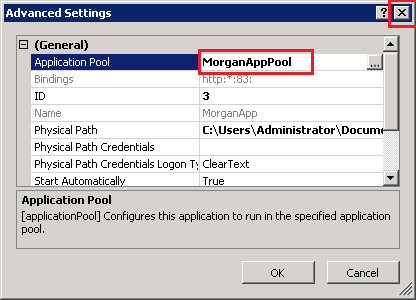 Now go to Application Pools section, here you can see what Identity is used in the corresponding Application Pool (MorganAppPool). 5. 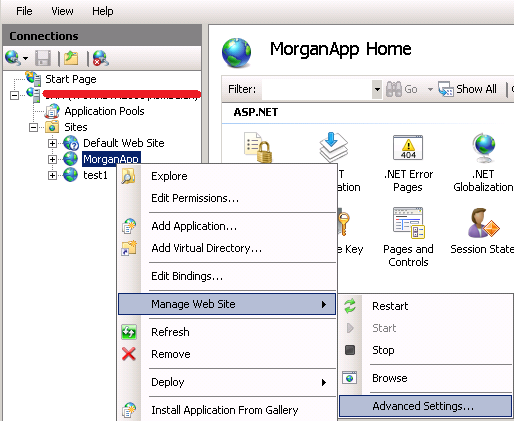 Here, the user account testuser1 is configured in MorganAppPool. 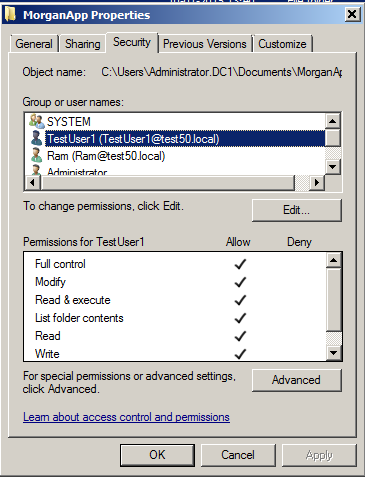 So we need give required permissions for this user in the website directory "C:\Users\Administrator\Documents\MorganApp". 6. 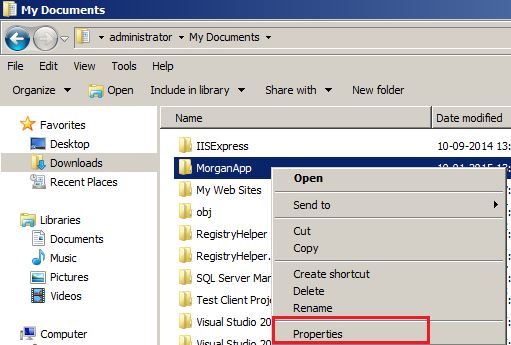 Go the web directory folder MorganApp, right-click on the folder and click Properties. 7. Set required permissions for the Identity that used in ApplicationPool (In my case testuser1). 8. Restart Application Pool and Web Application, and browse the web page again . Hope, the error 'HTTP Error 500.19 - Internal Server Error - 0x80070005' will get fixed and everything will work fine now. I was having the same problem and I was not able to get the prints working Then I contact geek squad which told me to pay me $100 to fix my printer problem and I know which is not worth so my facebook friend suggestd me about 25dollarsupport tech Support.